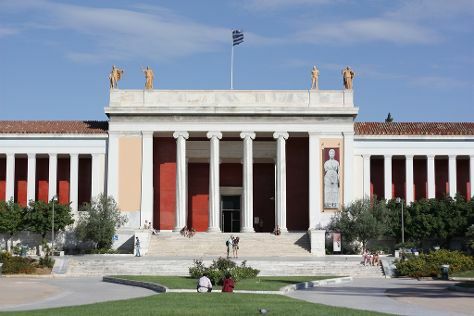 Kick off your visit on the 14th (Sat): admire the masterpieces at National Archaeological Museum, wander the streets of Plaka, and then explore the ancient world of Acropolis of Athens. On the 15th (Sun), you'll have a packed day of sightseeing: get engrossed in the history at Acropolis Museum, view the masterpieces at Technohoros Art Gallery, delve into the distant past at Temple of Olympian Zeus, take in the exciting artwork at Onassis Cultural Centre, then view the masterpieces at Athens Gallery, and finally wander the streets of Ermou Street. To see photos, maps, reviews, and other tourist information, refer to the Athens road trip site . New York City, USA to Athens is an approximately 13.5-hour combination of bus and flight. You can also fly; or do a combination of train and flight. You'll lose 7 hours traveling from New York City to Athens due to the time zone difference. In September, plan for daily highs up to 84°F, and evening lows to 69°F. Finish your sightseeing early on the 16th (Mon) to allow enough time to drive to Delphi. Start off your visit on the 16th (Mon): take in the spiritual surroundings of Tholos, then take an in-depth tour of Delphi Archaeological Museum, then contemplate in the serene atmosphere at Temple of Apollo, and finally delve into the distant past at Delphi. To see traveler tips, more things to do, other places to visit, and tourist information, you can read our Delphi road trip planner. Drive from Athens to Delphi in 2.5 hours. Alternatively, you can do a combination of train and taxi; or take a bus. Traveling from Athens in September, Delphi is little chillier at night with lows of 62°F. Wrap up your sightseeing on the 17th (Tue) to allow time to travel to Fira. Kick off your visit on the 17th (Tue): see the interesting displays at Wine Museum Koutsogiannopoulos, view the masterpieces at Gabbiano Nero Sculpture and Art, see the interesting displays at Monastery of Profitis Ilias, then delve into the distant past at Akrotiri, then take in the exciting artwork at MATI Art Gallery, and finally view the masterpieces at Tzamia - Krystalla Art Gallery Santorini. On the next day, shop like a local with S.M.A.G Spira Marble Art Gallery and then explore the ancient world of Ancient Thera. For ratings, more things to do, where to stay, and tourist information, go to the Fira trip planner . Do a combination of car and ferry from Delphi to Fira in 7.5 hours. Alternatively, you can do a combination of bus and flight; or do a combination of bus and ferry. Traveling from Delphi in September, you can expect nighttime temperatures to be a bit warmer in Fira, with lows of 70°F. 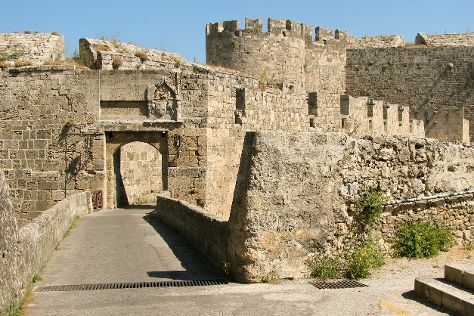 Wrap up your sightseeing by early afternoon on the 18th (Wed) to allow enough time to travel to Rhodes Town. Museum-lovers will get to explore Rodoscope Creative Gallery and Koskinou Traditional House. Do some cultural sightseeing at Medieval City and Street of the Knights. There's much more to do: look for gifts at Tassos Samourakis Gold & Silver Jewelry, steep yourself in history at Filerimos Monastery, take in the architecture and atmosphere at Ieros Naos Eyaggelismoy ths Theotokoy ( Church Annunciation), and take an in-depth tour of Kahal Kadosh Shalom Synagogue. To see reviews, photos, more things to do, and more tourist information, refer to the Rhodes Town trip itinerary app . Traveling by flight from Fira to Rhodes Town takes 5.5 hours. Alternatively, you can do a combination of ferry, bus, and flight; or ride a ferry. September in Rhodes Town sees daily highs of 83°F and lows of 73°F at night. Finish your sightseeing early on the 25th (Wed) so you can travel back home.